And the sleeves were too angled for *my* comfort. The pattern may be perfectly period correct, but I'm happy to straighten them a little. I slashed to the centre of the elbow from each side so there was a small hinge, and overlapped the outer edge 1.5cm. (5/8ths of an inch). 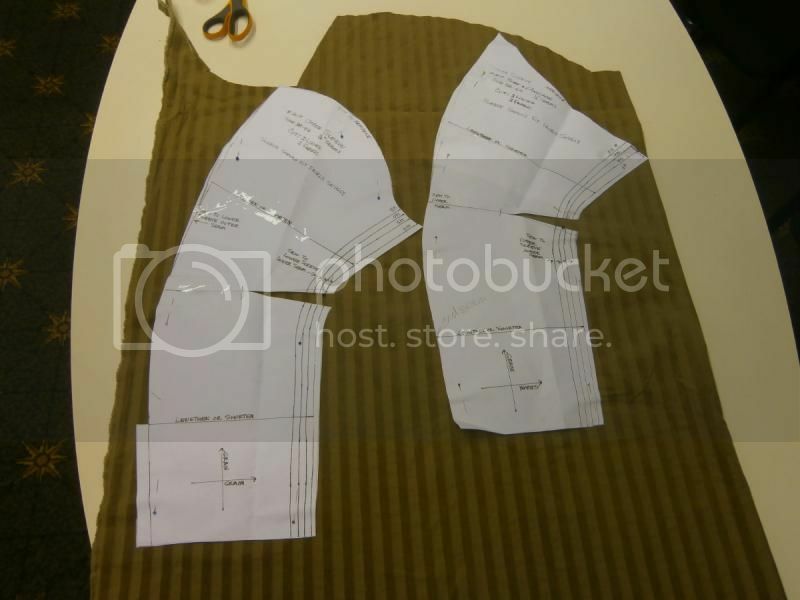 I can easily return the pattern to it's original shape or adjust it next time I use it. 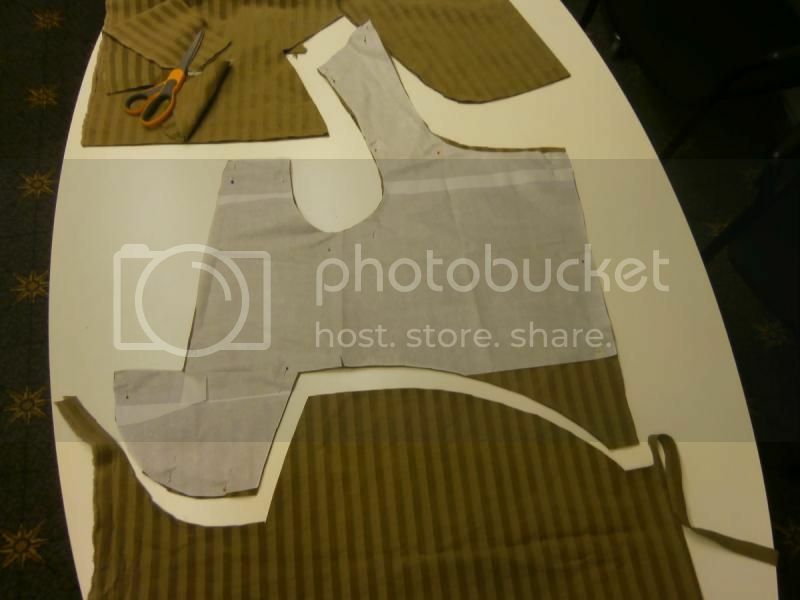 The body is assembled apart from the shoulder/upper back edge, and the sleeves. Which I know fit and are 4 simplish seams and bodgy cuffs. The lights in my work's meeting room are yellowing the cocoa beige of the fabric.